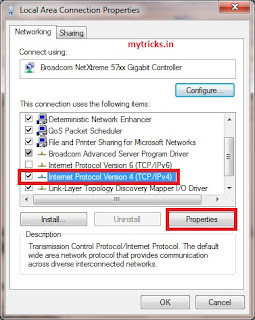 Here I am going to show you how to block any website e.g Facebook, Google plus, Google chat, Email without any proxy server. 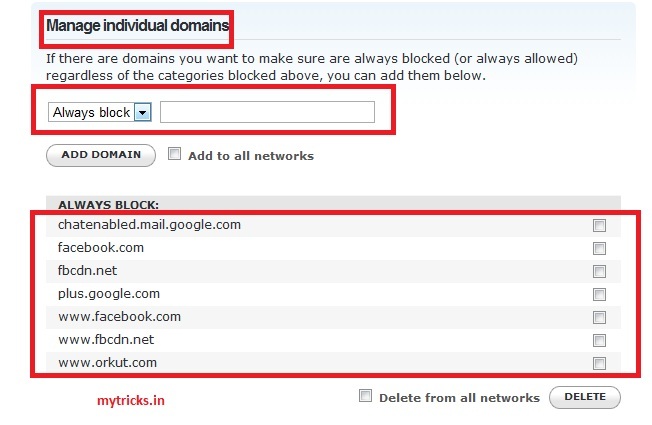 You can block any website in your local area network using OpenDNS. DNS is such an integral part of our Internet life working behind the scenes every time we connect to a website. Our Internet Service Provider specifies the DNS Server address that we put into the browser network settings or the router or DNS server. 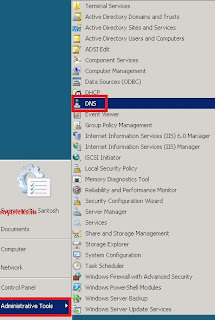 Here we are going to change DNS server of our DNS Server or Cisco Router (which is gateway to your network) to OpenDNS servers. 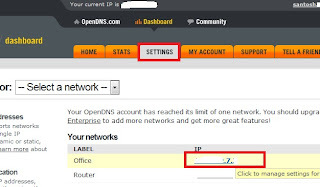 OpenDNS is very fast, There are no software to install, it’s very easy to set up and the price is just right – $0. 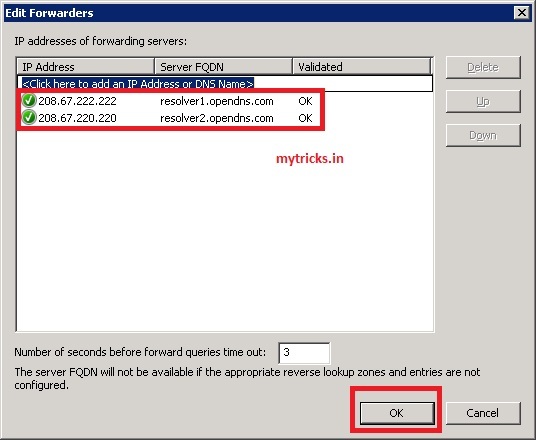 To use OpenDNS, all you have to do is open your Network Connections or Router’s settings page and update the default DNS server to point to the OpenDNS nameservers that are 208.67.222.222 and 208.67.220.220. Another advantage of using OpenDNS is that it blocks phishing websites from loading on your computer. 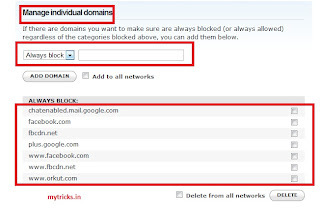 If you are a parent worried about kids visiting adult websites on the home computer, you can configure OpenDNS to block any adult website from loading on the computer. 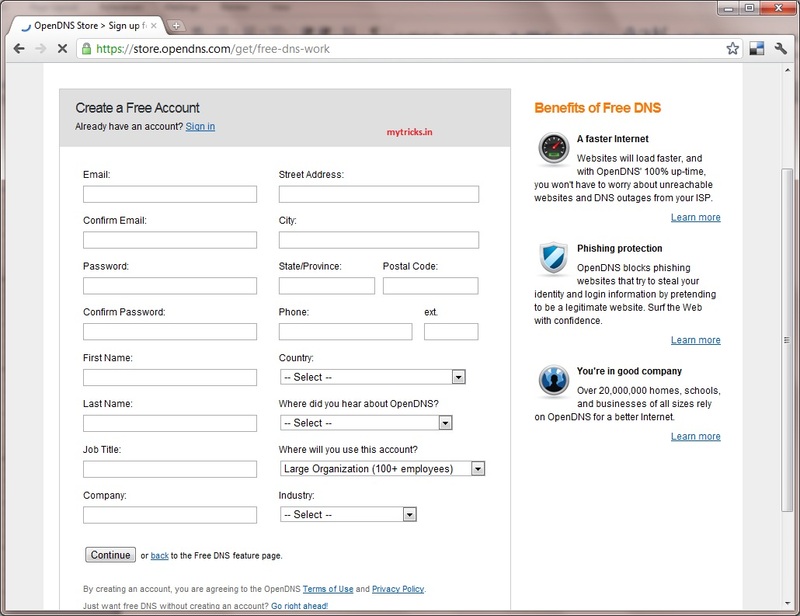 In fact, few business places use OpenDNS to block social sites like MySpace and Facebook on employee computers. 2. 2. 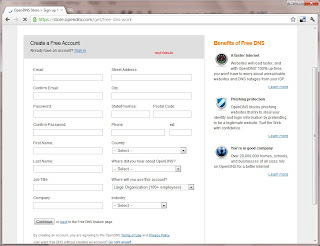 Fill the required info & create your OpenDNS account. 3. 3. 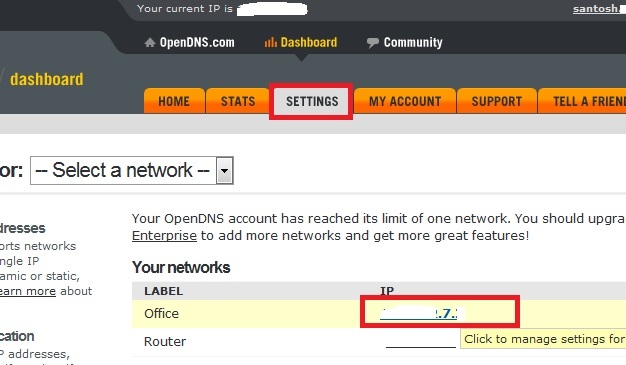 Login to your OpenDNS account & skip all other settings & go to OpenDNS dashboard. 4. 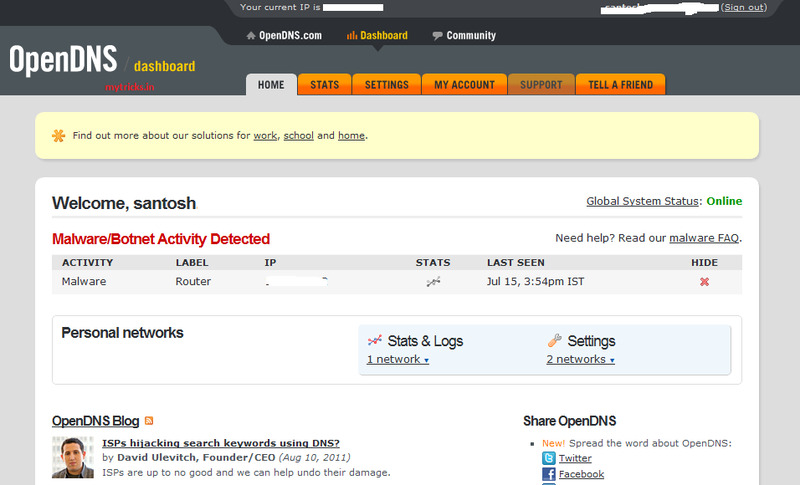 OpenDNS dashboard looks like as shown in below image. In my case I have blocked facebook.com & Google web based chat. OpenDNS works very well. It generated very good stat report for you. 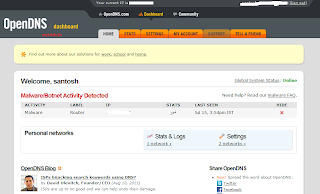 Now we have created OpenDNS account, now next step is to configure our DNS server/router or desktop machine. 3. Highlight the ‘Internet Protocol Version 4′ and click Properties. 4. 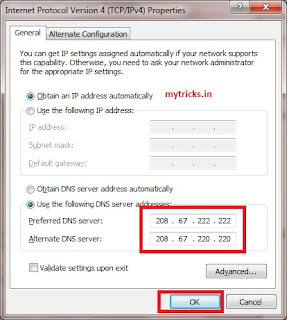 Click the radio button ‘Use the following DNS server addresses:’ and type in OpenDNS’ addresses in the Preferred DNS server and Alternate DNS server fields. 6. 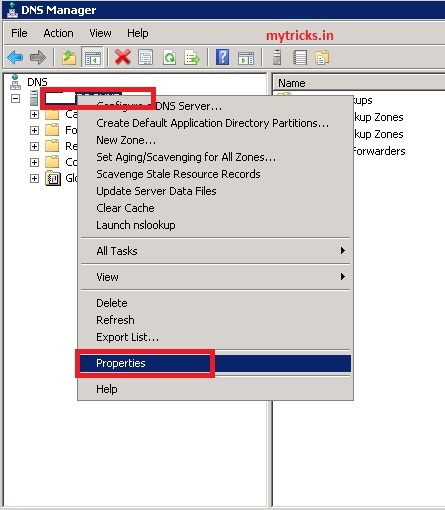 Now flush the DNS resolver cache of the server and the DNS resolver caches and web browser caches of the users using the DNS server to apply DNS configuration settings immediately. 4. 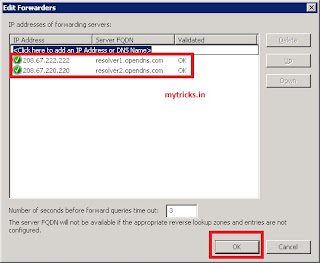 Now select forwards option & add open DNS Server. 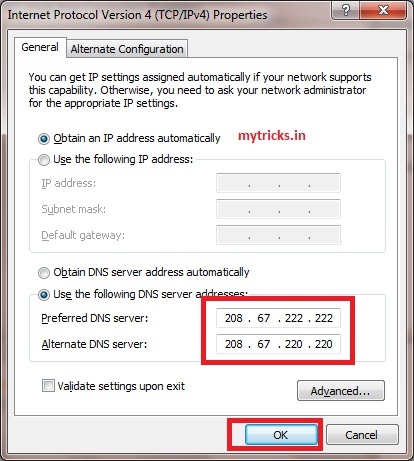 Please write down your current DNS settings before switching to OpenDNS, in case you want to return to your old settings for any reason. 3. Now try to access facebook.com which we blocked on opendns. You will get error as shown in below image. 4. 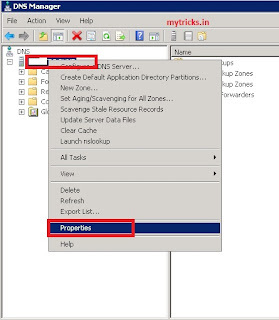 Now flush the DNS resolver cache of the server and the DNS resolver caches and web browser caches of the users using the DNS server to apply DNS configuration settings immediately.